CANS accepts applications year round for the 2018-19 school year for preschool (age 3 or 4 by September 30, 2018), kindergarten (age 5 by September 30, 2018), and first grade. Please use the following contacts for current school year enrollment and email us at cansadvisory@gmail.com with any questions or issues. Click here to download a printable version of the instructions for your use. Please go to the Ed Center at 2651 Burnett Ave to sign up! As always, sign up for our electronic newsletter for up-to-date CANS news. Our new building will accommodate one preschool classroom. Attending CANS preschool is not necessary for guaranteed access to other CANS grades if you reside in CANS boundaries. Siblings of current CANS students will be given priority for available preschool spots. Additional CPS preschool spots are available at Rising Stars Academy. Families must pay tuition for preschool or be income eligible for reduced rates. Preschool Promise grants will be available for full time Pre-K children whose families make up to 200 percent of the federal poverty threshold. Enrollment of children residing in CANS boundaries for KG, 1st and 2nd grade is guaranteed for the 2019-2020 school year. Share your information using the Newsletter signup form (below) so we can contact you about school tours, shadow days and open house/curriculum night events. The next open house will be held in January. Details to follow! Interested in enrolling your child in a grade not yet available at CANS? We want to hear from you! Please fill out our enrollment interest form for older children (click box below). With enough documented interest, we can make a better case for adding more grades faster. Please share this form with friends and neighbors in the CANS boundaries who may be interested. Interest in enrolling older children? CANS is a neighborhood school serving the communities of Clifton Heights, University Heights, Fairview, Clifton, and Spring Grove Village. 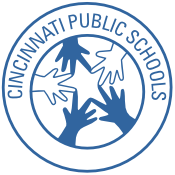 To find out if you live within the Clifton Area Neighborhood School boundaries use CPS' Interactive Cropper Map System to find and view your School Assignment by School Name and Street Name. Tell your friends and family about the new school. If you are interested in learning more or contributing to the CANS Advisory Group, please contact us!